Gram for gram, the Double Rainbow is an amazing lightweight tent with just about the right balance of weight, value and liveability. The tent is a USA-made, single-skin sil-nylon tent with a bathtub floor and mesh netting. It has two doors and vestibules, and is about as light a three-season shelter as you can get without spending a lot more money or moving into the ultralight world of tarps and mids. It’s got a bit of a cult following and I thought I’d grab one for lightweight group hikes and solo walks. 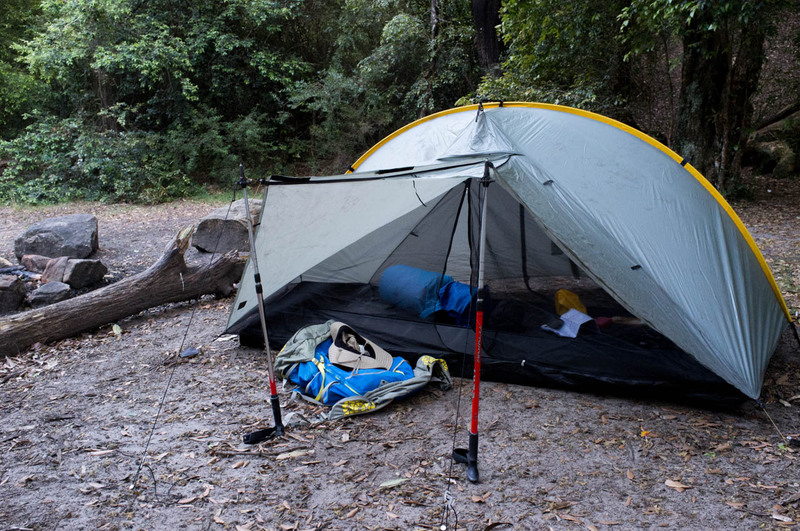 For something that weighs less than 1.2kg, the liveability of this single-skin tent is quite good. If you’re on your own, I can tell you it’s pretty spacious: you’ve got room to spread out your stuff and use the twin vestibules for gear. On top of that, the clever design means that it’s quite easy to sit up inside. I’ve actually used the tent more as a 1P tent than a 2P tent. I’ve only shared it with others twice, once with my partner and once with my daughter. Both times, it’s been comfortable enough though I would think it would get a bit cramped with two 6ft+ men for more than a night or two (especially if you were stuck inside due to bad weather). Put it this way: you’d need to be quite coordinated when you were inside together. The tent is quite narrow but fits 2 standard-width sleeping mats with a bit of room each side. As the tent is a 2P tent, the score reflects liveability with 2 people inside. Oh, there’s also a porch mode which is quite nifty in the right conditions: it gives you a front verandah and a nice way to wake up in the morning. 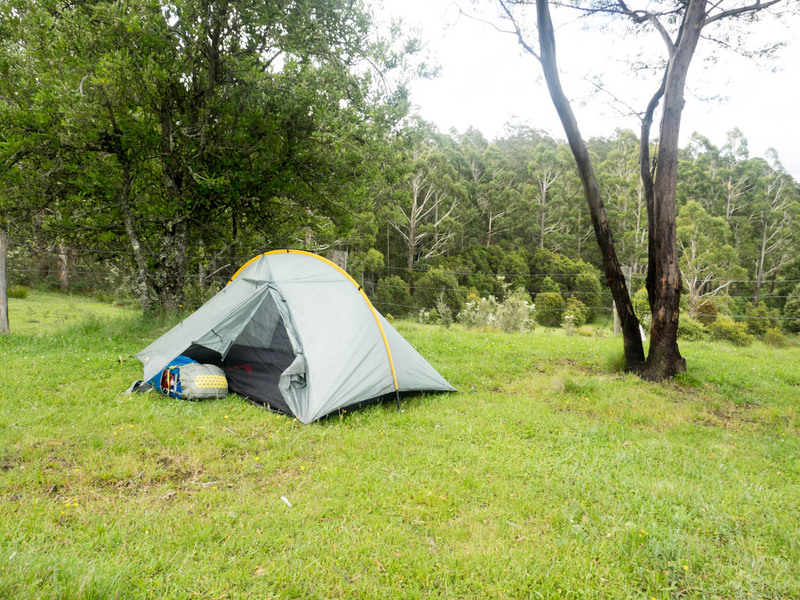 I’ve had the opportunity to test the tent in a couple of heavy downpours in sub-alpine areas, including a big storm on Barrington Tops. I can safely say that it’s weatherproof. The tent held up perfectly and I stayed dry each time apart from a few drops of condensation. My toes got a bit wet when they touched the very end of the tent on one trip. 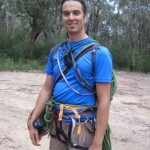 However, condensation was an issue when I camped next to Heathcote Creek: moisture really built up on the inside. I had to put up the optional breathable liner in the middle of the night to stop water dripping on me. As it happened, a fellow camper also had a Tarptent (different model) and complained about the condensation issue as well. It’s been reported elsewhere too. I would highly recommend buying the optional liner. It adds an extra 100g but will ensure that condensation is not an issue. It effectively gives the tent a second skin and is purported to add warmth. Note: you’ll need to seam seal this tent yourself. 1.2 kg and a tent that packs down to a volume of about 4-5L? Yes please. 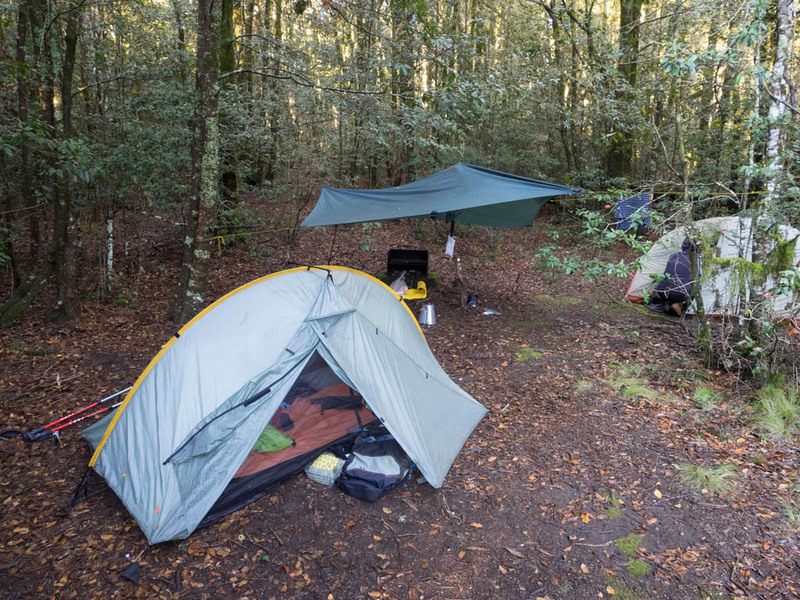 I was able to pack this tent along with the Big Agnes Copper Spur UL3, personal kit and all camp kitchen gear into my 60L pack on the Barrington Tops walk (I was the nominated Sherpa on that trip, as it happened). Pack weight was still below 15kg. This is easily the lightest tent I’ve ever owned. To get lighter, the price goes up. You’ll also need to sacrifice either the mesh screen and/or the bathtub floor (and associated comfort). At some point I want to see if I can take this tent overnight with a 40-45L pack. Dead simple: insert the single pole, stake out the four corners and then the vestibules and, within a few minutes, you’ve got your tent. Even better, the single-skin design means that you don’t have to mess around with a fly (or risk getting the tent interior wet when setting up in the rain). It’s easy to pack up too. The smaller footprint means that you’ve got a bit more flexibility with campsite selection. 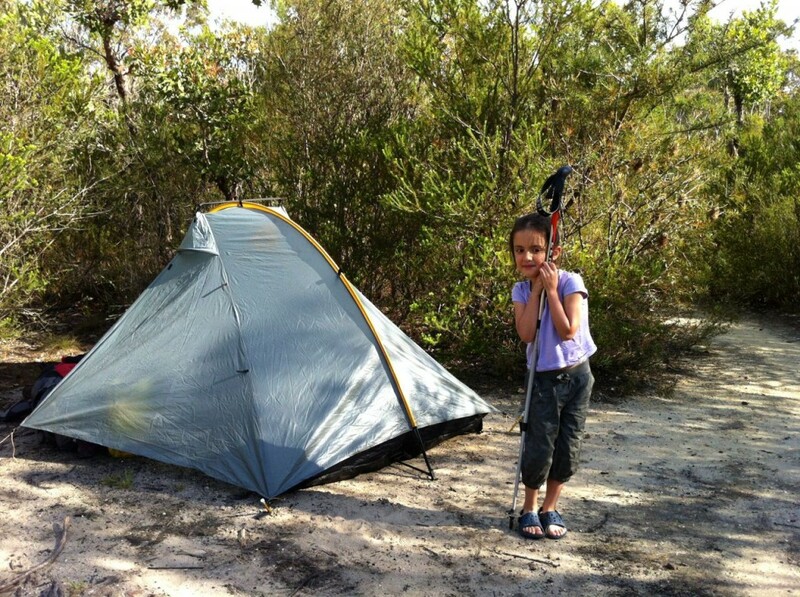 The tent can also be set up in a freestanding mode, using trekking poles, or with a porch. See the video below. So far so good: the fabric is, not surprisingly, quite thin but it’s sil-nylon, which is said to be tougher than normal nylon. The manufacturing quality appears excellent. I’ve not had any concerns so far and it has survived a hiking trip with a 5yo. If you’re camping somewhere rocky or you’re paranoid about puncturing the floor, think about a Tyvek footprint. You should also make it a habit to use your foot to clear the ground for your tent. Pretty good, really. Lightweight gear is never cheap but the balance of weight, liveability and weatherproofness make this a great buy. It goes for US$289 + shipping (about US$50 to Australia) – as of May 2015. The breathable liner will set you back an extra $30 and is recommended. I bought some extra pegs and seam sealing kit, and got the whole lot delivered for US$395 when the exchange rate was about 1-1. Try to buy a similar-weight tent from a big name manufacturer and you’ll be paying more. Try to cut further weight and the value proposition starts to drop. A dedicated 1P tent would save you some some weight and money but if you have limited funds, this tent can do it all. For example, the Double Rainbow comes in a 1P version that weighs in at 900g and costs US$30 less but won’t fit two people. The tent can only be purchased via Tarptent from the USA. I love this tent and feel confident it will see me through many lightweight hikes for years to come. I love that it's light enough to use as both a solo and two-person tent. It's a cinch to set up and has proven itself to be weatherproof. You'll find more comfortable tents out there but if you value weight and packed size then this is a fine compromise. Lightweight, affordable, liveable? Yes please! My girlfriend and I through-hiked New Zealand’s 3000km Te Araroa trail with a Tarptent Scarp II. This was a fantastic tent, although heavier than the Double Rainbow at 1.7kg. We did meet another couple with a Double Rainbow who found it to be too small and who had ended up carrying two tents. I agree with you about upgrading the inner. We upgraded from mesh to the ‘solid’ inner and our tent was both warmer and more resistant to breezes coming under the fly. Hi Jandal – sorry for the super slow reply! I’ve been very slack on the blog front recently in the lead-up to a big o/s trip… Finally getting back onto it now. Anyway, enough of my life story… Thanks for the thoughts on the Double Rainbow (and the Scarp II). I agree that the Double Rainbow would be a tough ask for a 3000km hike for two! Liveability would be super important over that time (I’ve never hike more than 4 days thus far). Good to know, however, that Tarptent’s can endure that sort of mileage – it’s a testament to their quality. I’ve been doing a lot of tarp camping with a bivy-style shelter lately.